New York City has a message for scandal-ridden Wells Fargo: clean up your act, now. Mayor Bill de Blasio and Comptroller Scott Stringer announced plans on Wednesday to vote in favor of punishing Wells Fargo by blocking the bank from getting new contracts for the city's deposits. The sanctions, set to be voted on at 4 p.m. ET by the city's banking commission, would also suspend Wells Fargo's lucrative role in running the city's bond sales for one year. If approved, the penalties could hurt Wells Fargo's future business with the nation's largest city. Wells Fargo (WFC) currently holds a contract that allows it to hold taxes and fees collected by New York City, which has about $227 million from the city at the bank. The bank is also a trustee to the New York City Retiree Health Benefits Trust, which has about $2.6 billion in assets. "I encourage Wells Fargo to quickly clean up its act and do right by the millions of customers who trust the bank with their savings," de Blasio said in a statement. Stringer, the city's comptroller, had harsher words for the scandal which led to the firing of 5,300 Wells Fargo workers for creating some two million fake accounts. "What happened at Wells Fargo was a fraud -- and there should be consequences. We need to send a message to this bank and the broader industry that ethics matter," Stringer said. Wells Fargo said in a statement that it "appreciates the continuing dialogue with New York City" and "deeply values" its relationship with the city. The bank has also previously pointed to many steps taken in recent months, including eliminating its controversial sales goals, installing new leadership and refunding hundreds of thousands of customers who were wronged. 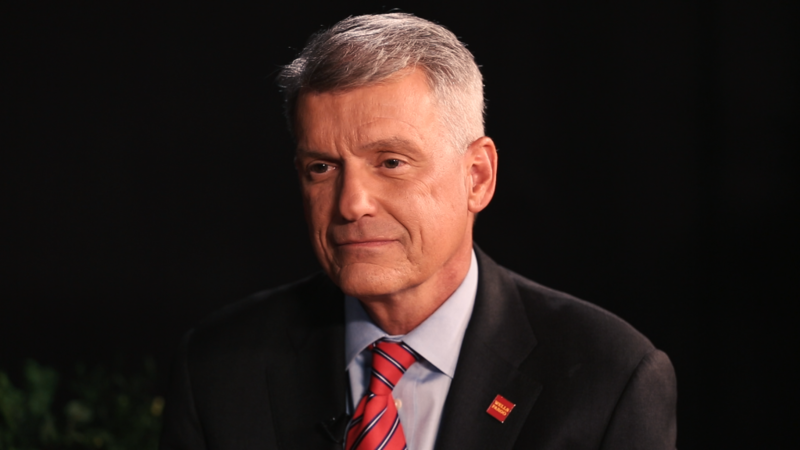 "We have an unwavering commitment to fix everything that went wrong," Wells Fargo CEO Tim Sloan said during a presentation earlier this month. "There's no question that 2016 was among the toughest in our 165-year history." If New York City votes to back away from Wells Fargo, it would join other cities taking action against the bank. In February, Seattle decided to cut ties with the bank and avoid any new investments in its stocks and bonds. Seattle's decision was mostly driven by Wells Fargo's role as one of more than a dozen lenders in the controversial Dakota Access Pipeline. Earlier this month, Philadelphia accused Wells Fargo in a lawsuit of discriminating against minorities by pushing them into higher-cost mortgages.